Every R&D researcher wants a turn-key R&D testing solution that can immediately be started up and begin generating results. This can only be done if the supplier can do the actual chemistry with client catalyst samples prior to delivery. ILS can provide exactly this. Let us chemically validate your unit before delivery insuring seamless integration of on- and off-line analytics on a unit that demonstrates smooth, uninterrupted 24/7 data generation. This is a unique opportunity as well for clients to obtain valuable training prior to actually receiving the unit insuring a faster commissioning after delivery. Investment in an R&D testing unit always involves intrinsic risks. The more challenging or novel the chemistry, the higher the risk involved. Chemical commissioning testing provides a convenient way to minimize risks to our clients insuring they get a truly turn-key solution. By minimizing the amount of OPEX and CAPEX required for starting up the unit on-site, chemical validation results in a clear cost savings to our clients. The more complicated the chemistry or unit the bigger the savings. Modifications can be done faster at ILS than in your laboratories, and our processes are often shorter than those of big companies. Every day saved is less money invested in commissioning and more time invested in generating results. The unit is only delivered after the client has verified that the results are equal to, or better, than what was specified. This ensures 100% data quality will be obtained after delivery of the unit to our clients. Our clients are trained and operate their units on our site prior to their shipment. Any software or ergonomic modifications needed can be done collaboratively to enable the unit to meet all expectations. Methanol synthesis is one of the most important bulk chemical processes in the world. 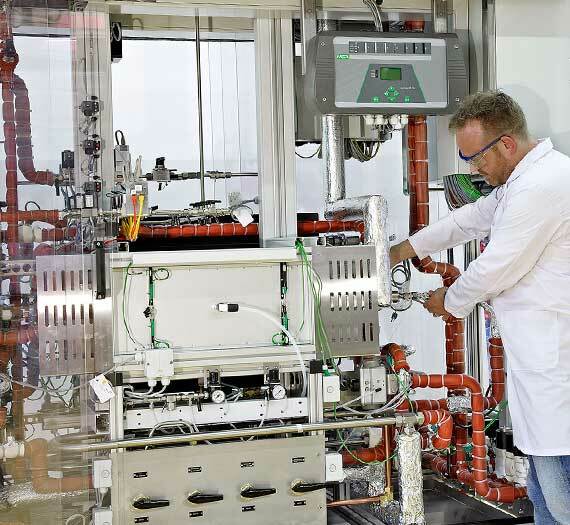 The very first two 16-parallel high-throughput fixed-bed units were made by ILS for Clariant nearly 12 years ago. 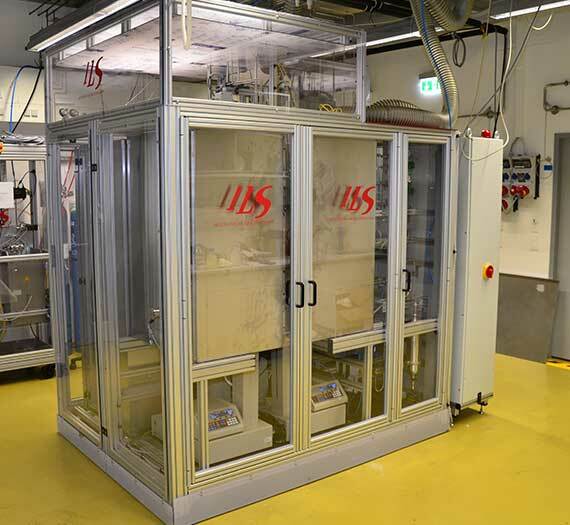 ILS was approached by a new client interested in obtaining a 16-parallel methanol synthesis unit. The unit was not intended for catalyst screening but for kinetic testing and comparing catalyst of very similar catalyst performance for “fine tuning” work. This placed extremely high requirements on the reactor performance. For this reason it was chosen to commission the reactor with real catalyst from the client prior to delivery. The project was successfully executed with a 2-month validation test frame where all problems could be resolved at ILS. In particular issues with the micro-GC software control could be solved at ILS that would have otherwise been much difficult to resolve on the client’s site. 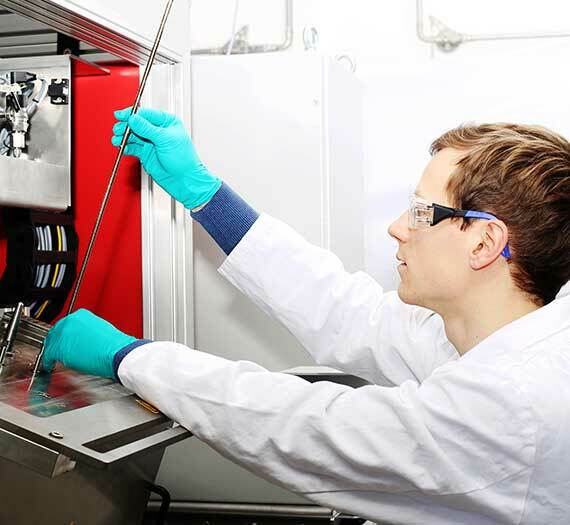 ILS has a well-established track-record of making automotive catalyst emmissions test units for both catalyst and emmissions sensor development work. In this case ILS was approached by a client who required a unit capable of testing monolith-core catalyts at very high volumetric flow-rates. Temperature stability and axial + radial isothermicity was critical as was the ability to dose high partial pressures of water as well as sulfur spiking materials for testing the sulfur compatibility of the catalysts in question. ILS designed and constructed a unit in a record 5 months! The client came for on-site training and commissioning work using real catalysts under actual reaction conditions. Commissioning of this testing unit took a total of 2 weeks and was located in North America. UL certification went flawlessly and the 2-parallel operation has been in operation for over a year now. ILS has a long track record of making Fischer Tropsch testing units for both slurry and fixed-bed applicaitons. We were approached by one of our FT clients to build a 2-parallel paraffin trickle-flow hydrocracker. This unit is used to convert the solid FT-paraffin wax to a range of fuel-grade products. The client had previous difficulties reliable pumping the solid paraffin wax over long periods, obtaining true plug-flow in trickle-flow mode and incorporating on-line analytics. After having constructed the unit according to the clients wishes, ILS operated the unit for nearly 1-month on-site using a catalyst provided by the client. Fortunately only minor problems appeared and could quickly be corrected. Full integration of the on-line GC, which detects up to 20 components was performed on-site and to the full satisfaction of the client. Chemical validation was particularly important for this client who is located on a compeltely different continent, far from the ILS facilities. Conversion of BTX aromatics is an essential petrochemical process. 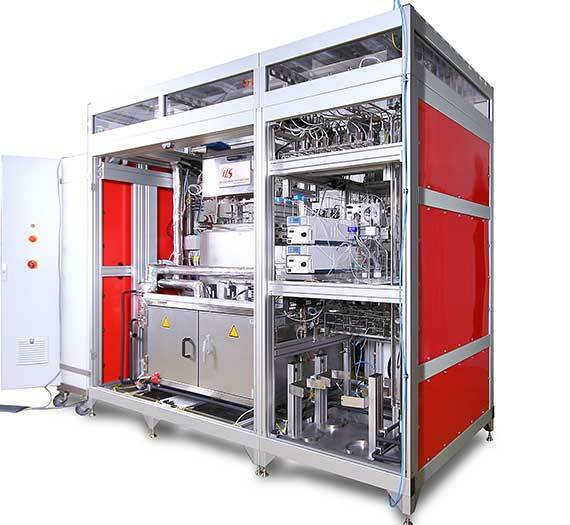 ILS was approached by a major zeolite manufacturer to design, construct and chemically validate a 16-parallel high-throughput unit for this application. ILS designed a unique unit for a client capable of performing 16 BTX reactions in parallel. This reaction is particularly challenging because the catalyts are highly active and the reaction temperatures very high. Pulsation-free vaporizaion was realized without local depletion of H2 in the feed, which can otherwise result in coke formation. All of these challenges were met and with effort in our in-house testing laboratories could ultimately be met. The online GC analytics were seamlessly integrated and testing on actual catalysts from the client confirmed proper functioning of the unit in question.